Recently is a CEO of a Legal and Business Services firm and is working as the Legal and Contracts Counsel at Zain-Iraq Telecom Co. Hareth is specialist and skilled in business and legal consulting, contracts drafting, administration, and Indirect taxes (Customs and VAT). He worked in Iraq and the UAE, and is a member of the Iraqi Bar Association. 4. Training Course on International Law & International Relations (Italy) 2004 organised by “SIOI” Rome - Italy and “ISPI”, Milan, Italy. 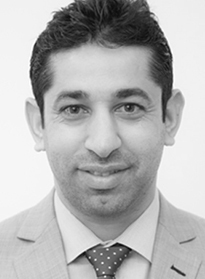 Hareth Al-Samarrai joined CBA as Legal Adviser in March 2018.